One of the true joys of working here at the Fun Factory is that I will, occasionally, encounter something so horrifying from a technical perspective that I seriously wonder just who in the hell it was I replaced. After today’s discovery, I’m convinced that the answer is “a frakking idiot”. 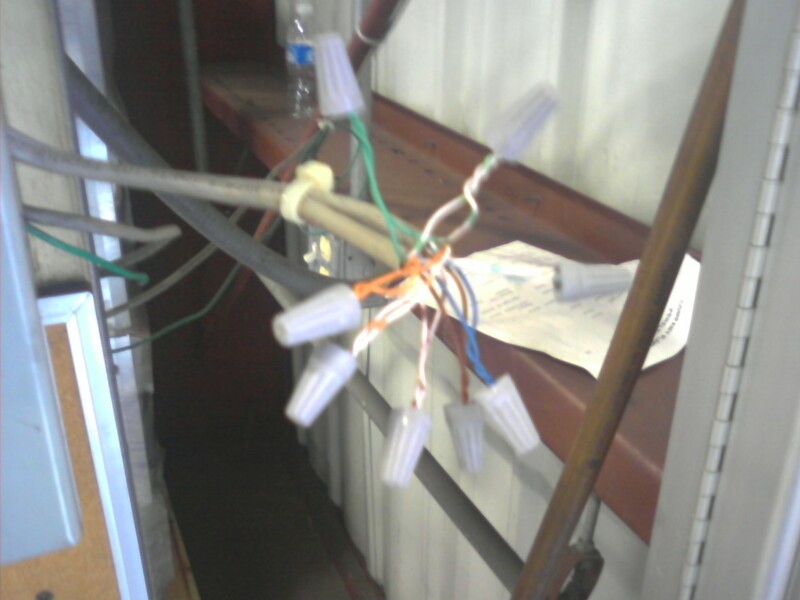 You aren’t supposed to DO this to network cable. Really. Trust me on this. At least they got the gorram color-pairs correct. How not to splice Cat5 network cable. Ever. Or I KILL YOU!